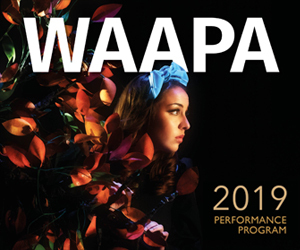 It was a warm afternoon at the Perth Cultural Centre Wetlands and the area had new vibrancy with the advent of the Perth International Jazz Festival. The Gemma Farrell Quintet took the stage and the interest escalated among the people milling around. 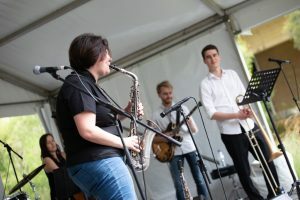 The band comprised Farrell on saxophone, Christopher Sealy on guitar, Kate Pass on bass, Ryan Daunt playing drums and the band’s newcomer Tom Salleo handling the trombone. The music was tight, well-rehearsed and the band obviously comfortable with each other. Much of the music played was from Farrell’s new album Organised Chaos and revealed something of the composer’s character. Each number was dedicated to an important person or an event like the birth of her third child. As the music filtered through the air the audience grew with each captivated passer-by. The crowd was well rewarded with warm, easy on the ears sounds. Stand out numbers were Reflections and One for Fresh written in honour of what Farrell called ‘probably her best teacher’. Each of the band members handled very strong solo’s and newcomer Tom Salleo did not disappoint. All the music was original but kept that familiar feeling of belonging. A pleasure to hear. Moving from the family-friendly ease of the Wetlands to the State Theatre Rehearsal Room was quite a transition. The Wetlands invites you to soak in the surrounding movement of people in the area; the Rehearsal Room demands your attention. The venue is intimate, moodily lit and with near perfect acoustics. Drapes hang across the walls and the grand piano in the far-left corner takes pride of place. About to begin was ‘Solo Piano – Fujii, O’Halloran, Barry’. Time was limited with the three performers playing solo in turn and each could play only one or two of their original compositions. 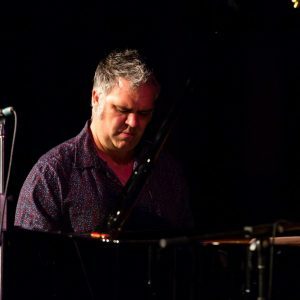 Sydney composer Steve Barry took the stage first and displayed masterful expertise, playing music from his recent solo album Hatch. His music was good evidence of his multi award winning talent. He started with a soft melodic number that transported me into a harmonious sense of peace. Then followed the cheeky insertion of a delightful interlude he described as ‘a little something’ followed by a tribute to Thelonious Monk. The tribute was more atonal but still not jarring on the ears, interrupted only by the sound of someone’s errant mobile giving walking instructions to the State Theatre. There’s always one in every crowd! 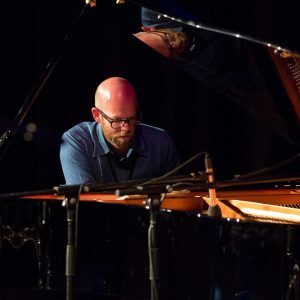 Perth’s well-loved Tom O’Halloran took the second spot, transfixing the audience with two improvisations, one tonal and the second atonal, both exploring atmosphere and texture. His music was atmospheric and almost tactile, like a patchwork quilt with individual sections coalescing into what will soon become one of your favourite blankets. The diminutive Satoko Fujii then took the stage, claiming rightly the pressure Steve Barry’s and Tom O’Halloran’s performances put on her solo. The Japanese pianist took immediate possession of the grand piano. The keyboard was not a sufficient interface for her and she almost climbed into the body of the piano converting it to a percussion instrument and a harp. She stretched the piano far beyond its normal playing method and I could imagine the blood draining out of the faces of piano tuners and agents responsible for the insurance of the instrument. The piano under her ministrations took on the guise of a full orchestra. Definitely avant-garde, Fujii produced an exciting harmony of both gentle and thumping sounds that I would never have considered belong together. How well it worked. Festival artistic director Dr Mace Francis thanked the artists for their ‘expose of the human condition’. My only complaint is that the performance was only given once.